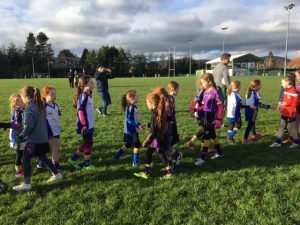 Our U8’s welcomed over a strong Carryduff side on Sunday instead of their usual training session. We played three sets of 10 minute games and fought hard in each one. 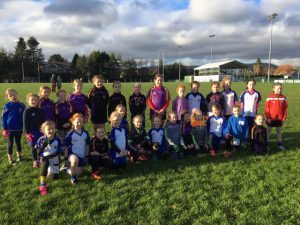 While Carryduff came out a stronger side, the girls learned a lot from the experience. 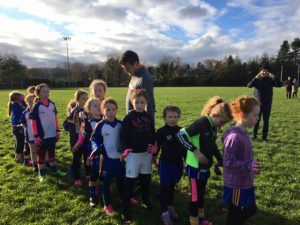 With each 10 minute game the girls confidence and skill set grew. Looking forward to many more home friendly games against other Clubs in the New Year. Well done girls!